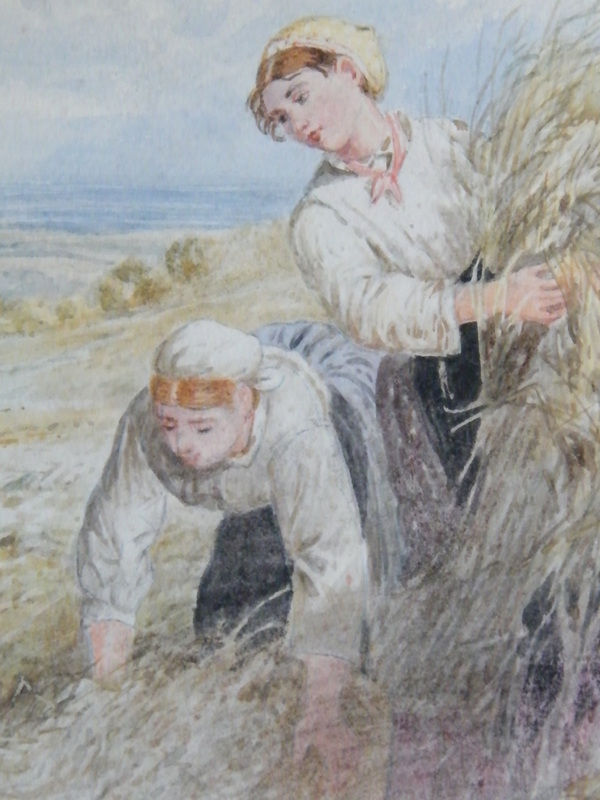 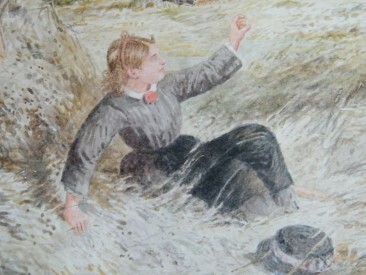 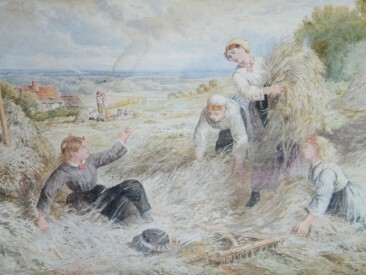 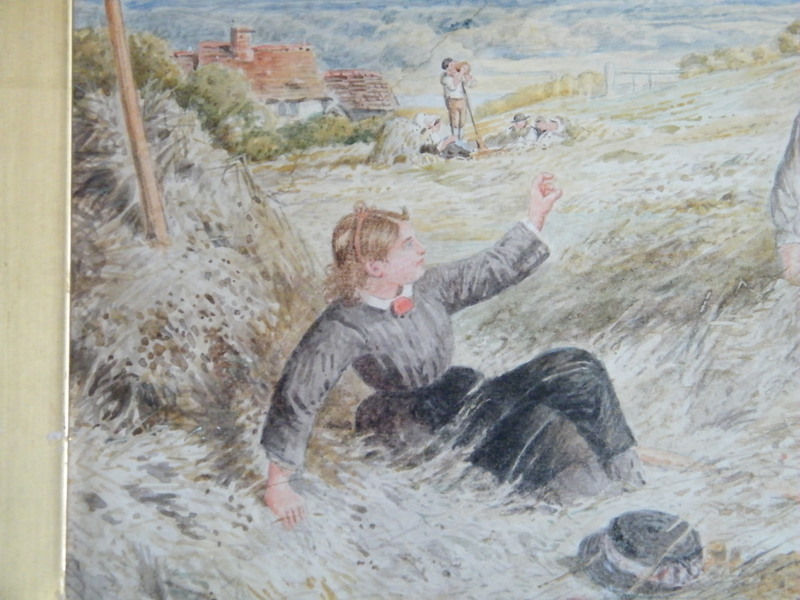 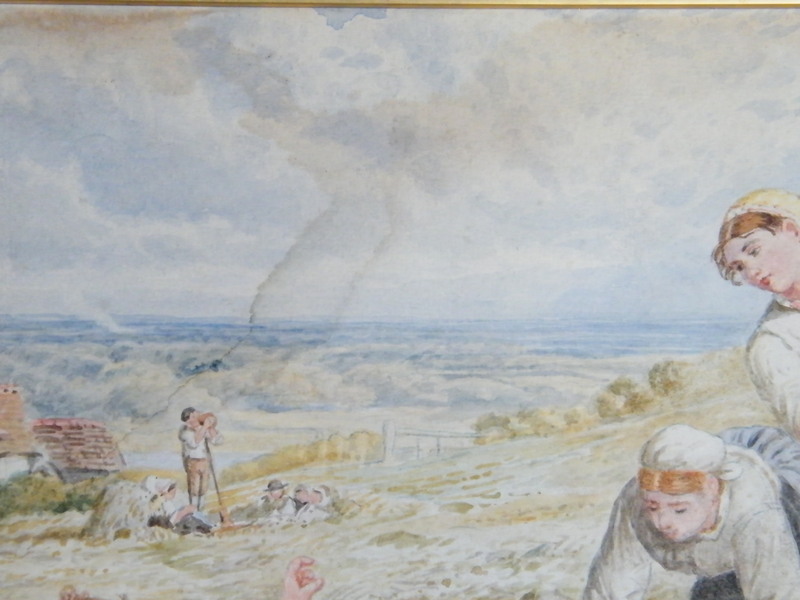 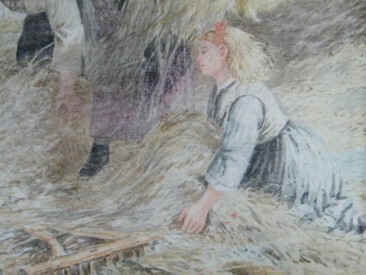 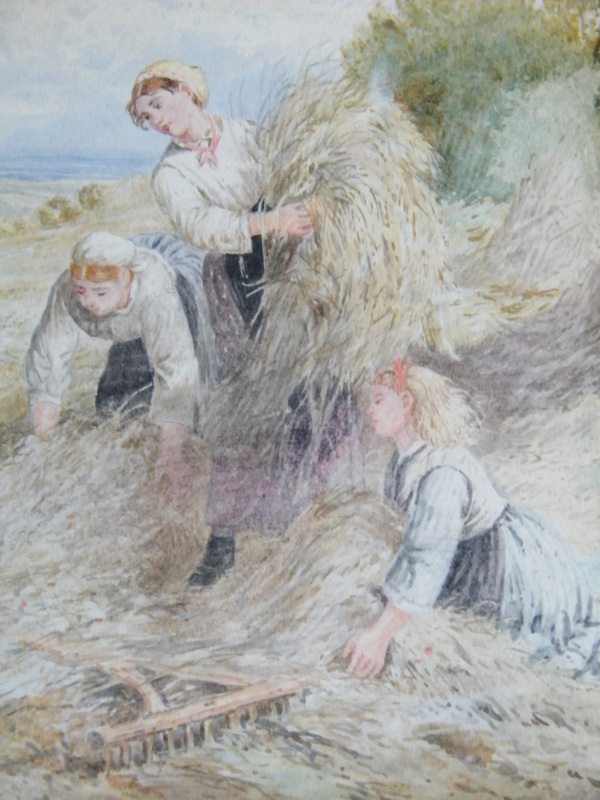 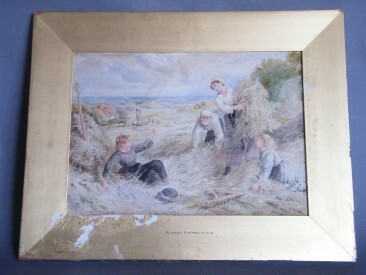 A watercolour depicting a romanticised rural harvest scene painted by popular Victorian artist and illustrator, Myles Birket Foster (1825-1899). 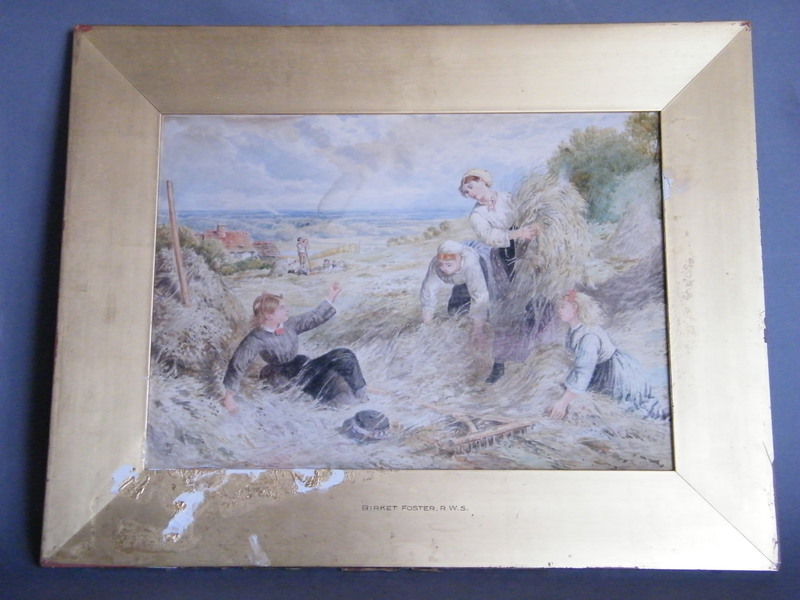 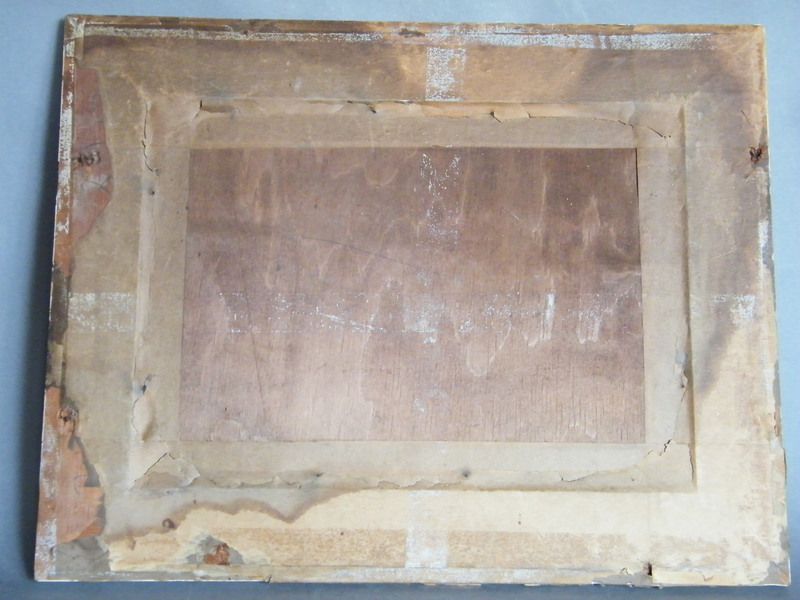 Condition: in its original ('distressed') inner frame;the painting is un-restored with some water marking but with no tears or losses. 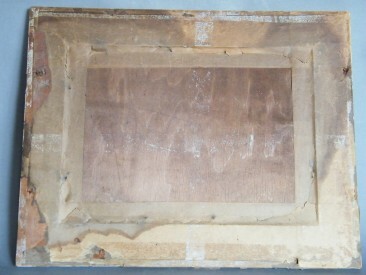 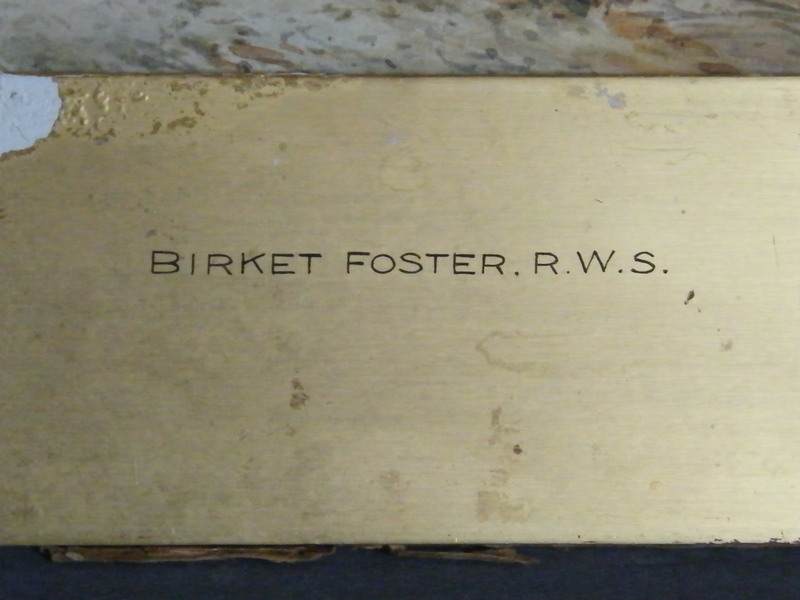 34cm(13.3 inches) wide; 24cm (9.3 inches) high.